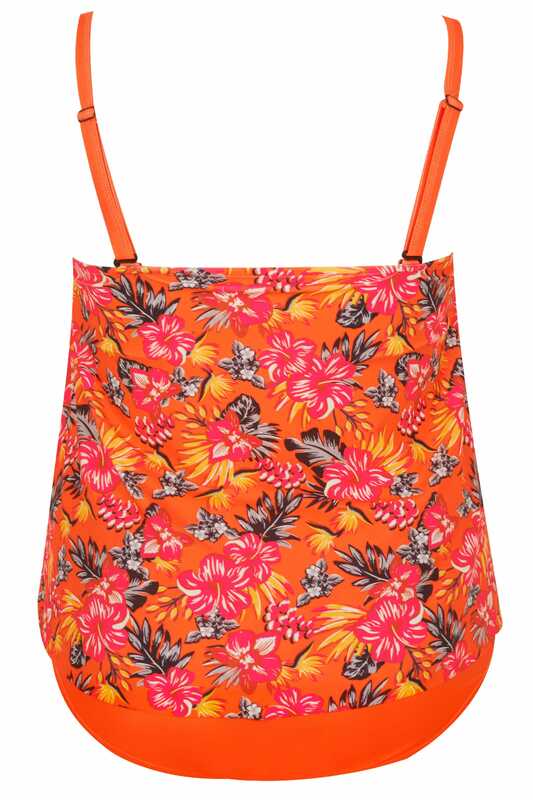 Add a dose of colour to your wardrobe with this swimsuit. Made from a super-stretchy fabric for the ultimate comfort, it features padded cups for a smoother silhouette and detachable and adjustable straps for a versatile and perfect fit. 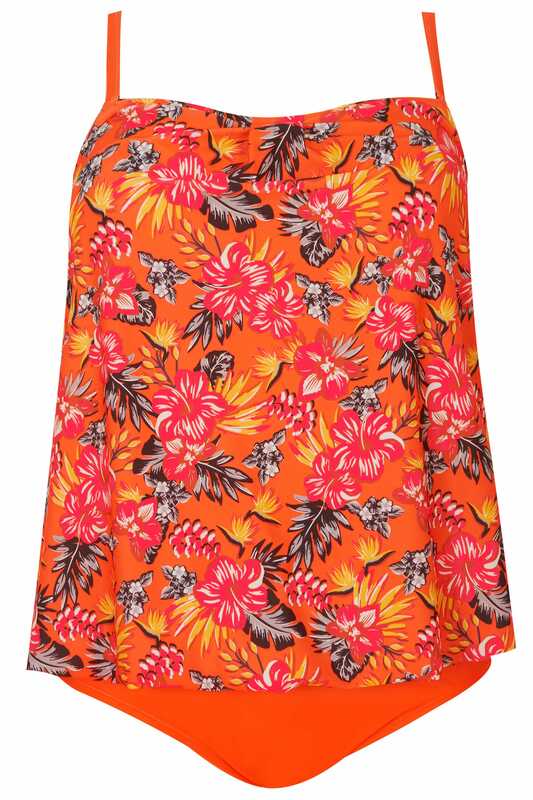 We are loving its striking tropical print in a bold orange hue.